Following requests for many years from creative printers, this new product has been developed to complete the choice in MULTIGRADE FB papers. 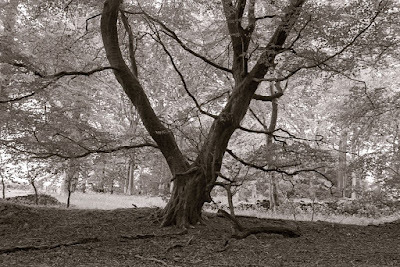 ILFORD MULTIGRADE FB COOLTONE has been developed for the creative printer wanting cool image tones and clean whites. This is a premium quality, variable contrast, black and white photographic paper, coated onto a 255g/m2 fibre base. MULTIGRADE FB COOLTONE has a cool white base tint and prints made on the paper display cool rich blacks, with well separated mid tones to deliver a unique look to the final print. In addition to producing the superb quality you have come to expect from ILFORD photographic papers, you will find this new product is versatile and easy to work with in the darkroom. It responds in the same way as other fibre based papers to the usual techniques of toning, chemical reduction and retouching techniques. MULTIGRADE FB COOLTONE is a fast exposure darkroom paper. The product has a short induction time of around 25 seconds for image appearance during processing but retains all the handling and filtration during processing you would expect from traditional MULTIGRADE FB papers. It is suitable for use in all types of darkroom enlargers. It is compatible with most safelights designed for black and white papers with a cut off no lower than 580nm. It is also fully compatible with the ILFORD chemistry range as well as the ILFORD optimum permanence wash sequence. MULTIGRADE FB COOLTONE will deliver seven full grades of contrast from grade 00 to grade 5 in half grade steps when used with ILFORD MULTIGRADE FILTERS. After washing and drying, it can be mounted using the standard methods for fibre-based papers.